Let me start by saying it is my favourite foundation, yes it is the best among the one I have tried, though it does not completely lives up to it’s claim. The foundation does not offers full coverage and perfect blending. The coverage is up to medium, if you layer it up you cannot build up the coverage, but for me it is perfect as I just want a foundation with light coverage. It should not feel heavy on the skin, comfortable, affordable and no tacky feeling after setting it with powder, also I want something to control the amount of the foundation while taking like we have tube form packaging in our BB creams. 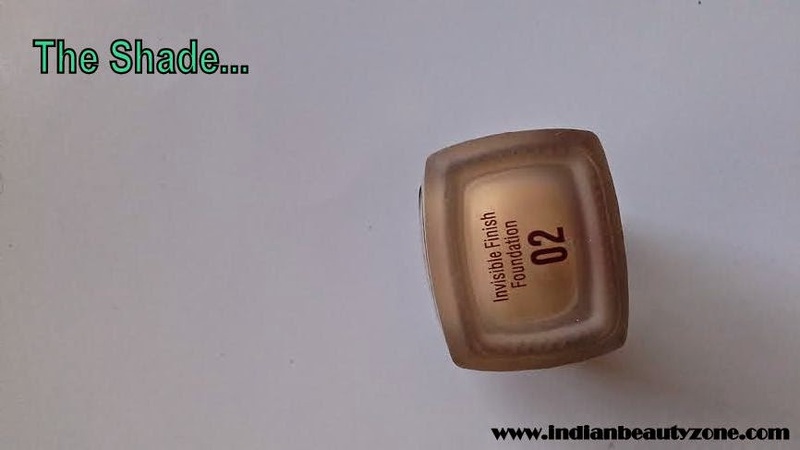 The finish is between dewy and matte,this shade is a perfect match for me, it is a yellow based foundation and it will suit most of the Indian skin tone, there are 6 shades available in this range which is better then having 4 shades which most of the Lakme foundation have, even the expensive one I am particularly taking about the Lakme absolute foundation. 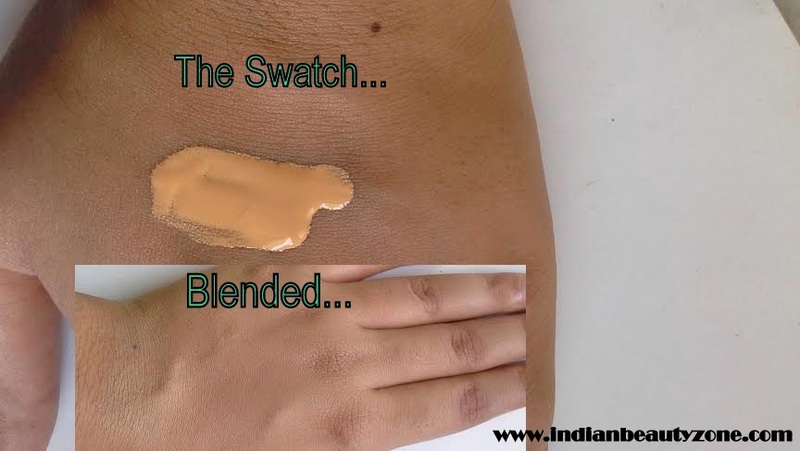 Next comes the blending of this foundation, it is not easily blendable but not difficult either, what I do is give it a good shake, wipe off the spatula directly on my face and then blend it with my elf powder brush (review will be coming soon) then I rub my hands together and place it on my face, what that does it locks your foundation into your skin and help it oxidize better, but this foundation does not oxidize or may be I don't know because it is the perfect match for me. demure diffused and natural look to the skin as compared to the loose powders) and apply it only at your t-zone or no touch up’s at all,oh and it is not sweat resistant,and it transfers to everything it comes in contact with like your mobile phone your shirt collar (if you have a habit of applying foundation to your neck area as well) and even your hand key if you wipe off your face. My skin is Oily type, this foundation stays on my skin for good time with compact powder. 3. As it is water based you need to give it a good shake, before using it. 5. May not suitable for oily skin. do I recommend it: yes, to everyone who is looking for a invisible finish foundation will i repurchase, well I use foundations only for parties but once this gets over I will repurchase as I am sure that no other foundation can be as good as this for an affordable price. I too think Lakme is the oldest brand in India. I should try this foundation after my coloressence one ends. Hi Fatima, How is the Coloressence foundation? it is good? I have this Foundation and liked it! Nice review. This is a nice foundation and inexpensive too :) nice review!! it had been on my wishlist for a long time! Its looking natural on u. 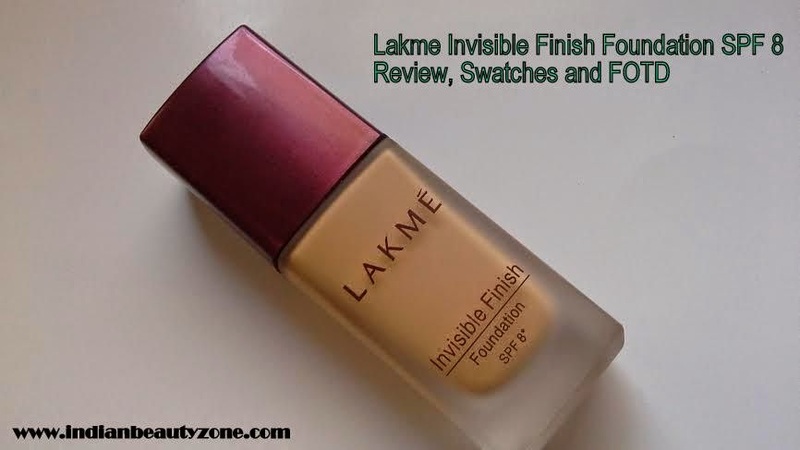 Looking so good on you...have never tried any foundation from Lakme...this one looks good, affordable and nice. 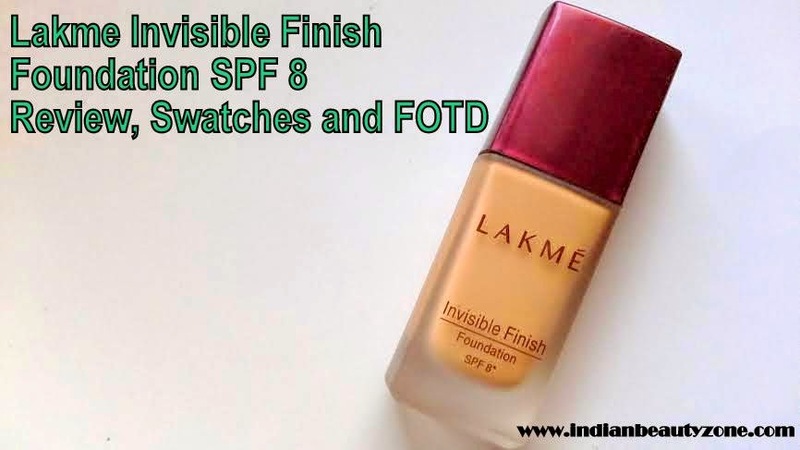 Lakme will suit for sensitive skin dear, have you tried their Silk naturelle Foundation? 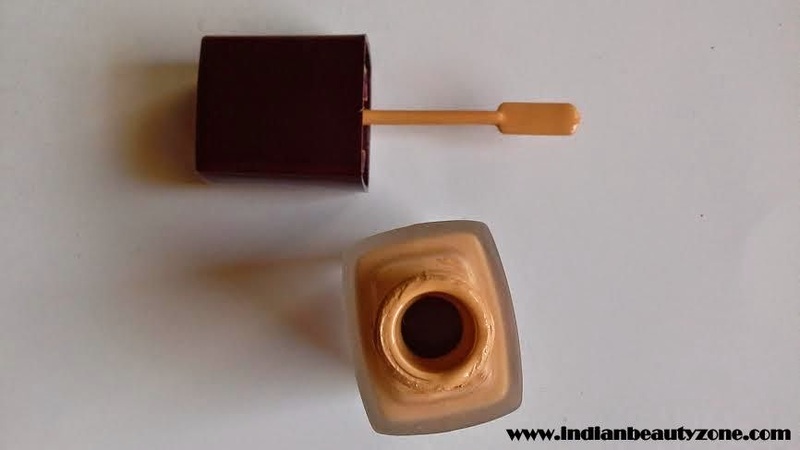 You know what I am not a fan of MAC products :p Currently I am loving Lotus herbals Foundation and I am reviewed here, it is a much raved Makeup foundation by beauty bloggers.. Very nice review on it! 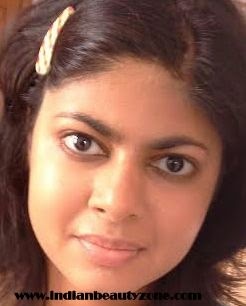 Haven't tried Lakme foundation earlier, I need medium to full coverage foundation as I have a pore-y skin. I think girls with flawless skin can carry this foundation effortlessly.